Last edited by ShinigamiKing; June 10th, 2014 at 10:57 AM. That looked beautiful, and I love the concept around it. Can't wait. Zelda + TES ? Two of my favorite series ever? Sign me up for a WiiU, when the game has been released. It's because there's no sea in this one (as far as we know), Foolio! 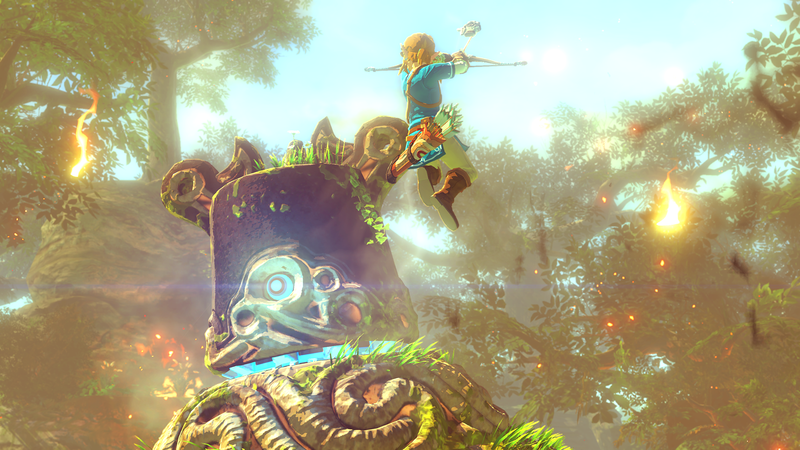 It looks fantastic, a world the size or scope of skyrim in zelda speaks volumes. And am i the only one who thinks link looks like ashitaka from princess mononoke? Is it just me or does that arrow seem oddly... tech-y? Hey I'm just pointing out the difference. And it doesn't change the fact that the lobster was awesome. Love the crisp, vibrant look of this game, absolutely beautiful. Guess I definitely have to get a Wii U, now. Zelda always sells the console for me. 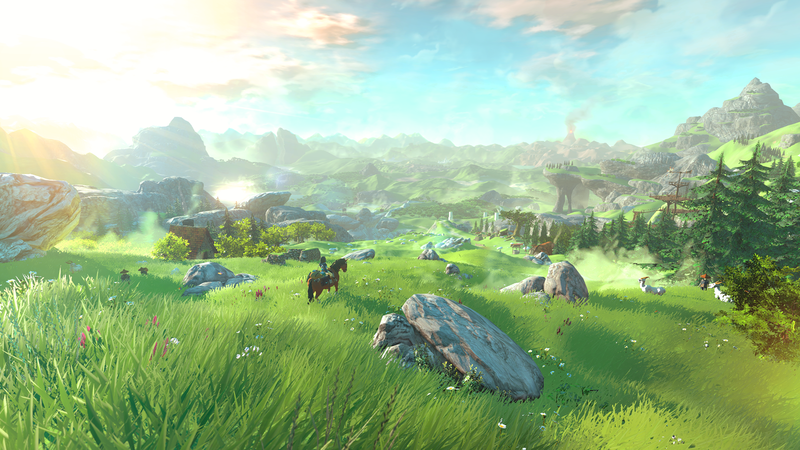 I can't wait to see more on this - most open-world Zelda so far, beautiful art style, and the return of Epona would've been enough to satisfy me already. Link's new design is pretty cool (first Zelda with no green tunic, possibly? At least not as the main outfit? ), and the high-tech monster and arrow are definitely interesting - I'm guessing there's going to be some more futuristic elements to this one, which I'm totally cool with. 1. 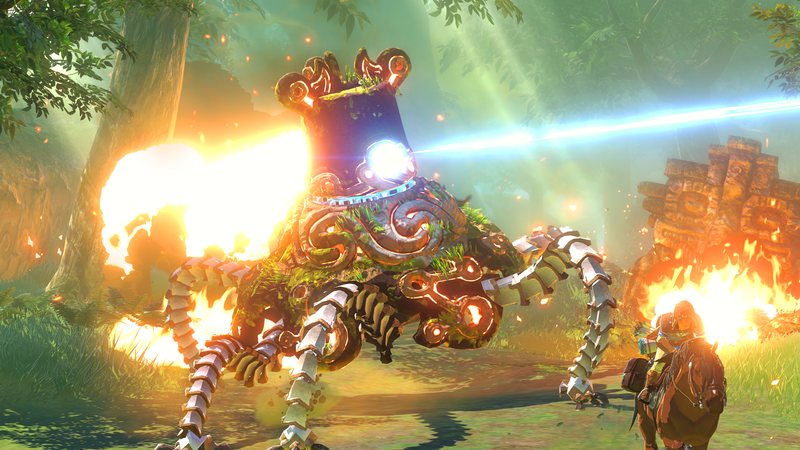 This will be the first Zelda where Link doesn't have a sword: the bow is instead the main weapon. 3. 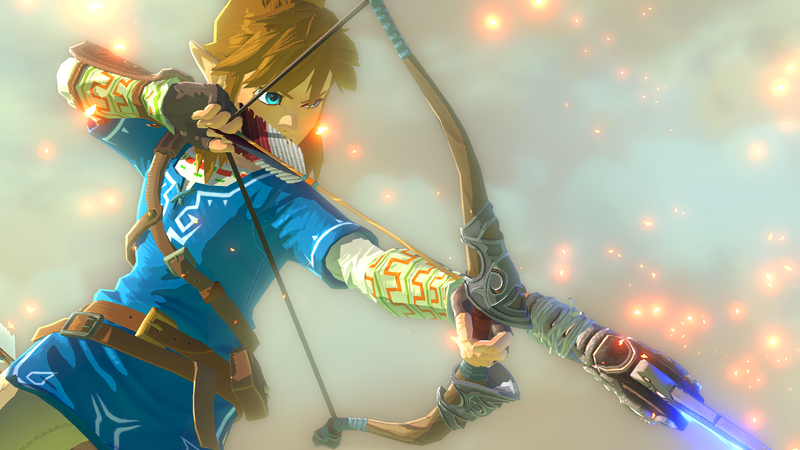 Link has a high-tech sword this time around (much like the arrow he used here), and Nintendo just doesn't want to show it yet. I'm curious exactly what they mean by open world. Because so far all I really heard is big world. If you can do dungeons in any order that's kind of cool. I enjoyed the hell out of A Link Between Worlds where that was the case. But at the same time it does detract some of the mystery of the world with places you can't reach without different items (I hope they don't do an item rental type system this time). And it's frustrating to have everything be more or less the same length/difficulty (read: easy) because of the ability to tackle in any order. It'd be cool if they still had a difficulty curve, like the first game, so that you CAN go to later areas early if you're prepared to get owned. Even tho I played Link's Awakening just recently, but I'm kind of hoping for a 3D Zelda game with dungeons and a nicely condensed but large overworld like it. I felt that game really did a good job at balancing puzzles, combat and exploration. But yes. This game is looking pretty, even tho it's tech demo more than anything. You can do them in any order. He mentioned at some point that htere are various ways to get to places. So sounds like you coudl get to a dungeon by using say hookshot, or instead using a bomb, ect. And since different ways of gettingto places, it shoudl sufface to say that you could go to them in different orders. Well the problem is dungeon puzzles also should utilize the items for various puzzles etc, to maximize their effectiveness. So being able to COMPLETE dungeons in any order (maybe not get to them?) kind of undermines that, unless they completely change how items work. But also the difficulty curve thing. Or hell, maybe there won't even BE dungeons, but that would make me super sad.